28 May 2009 - 22:12choose life? I saw this VW Bug parked at Mr.Bones BBQ in Bradenton, Florida. The vanity plate is just so wonderfully subversive. 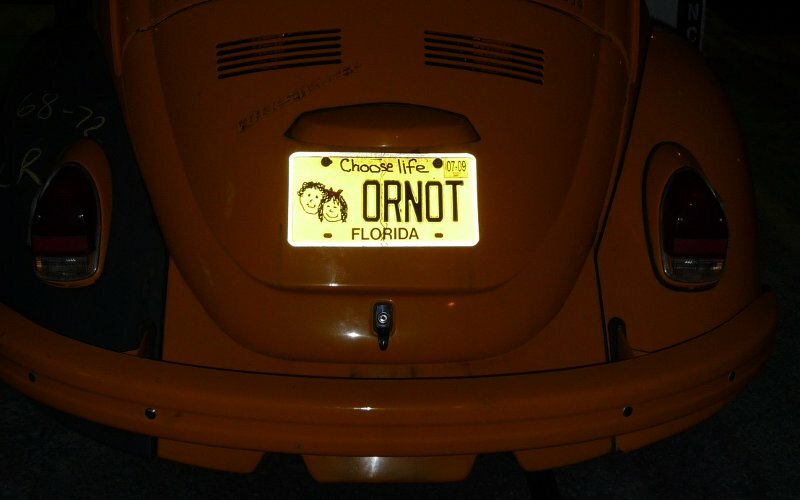 Apparently Florida allows you to get special “choose life” plates. I thought this incongruous with the car and other stickers until I read the plate itself. Perfect.